The Kia Sportage Brings Strong Value. The Kia Sportage Brings Strong Value and More to the Compact SUV ClassLong known as a reputable value brand that makes budget-friendly cars and SUVs, Kia has come into its own as a strong contender among manufacturers with reputations for high quality-and higher prices.Kia continues to stay true to its original mission, so when you choose a Kia model, affordability is a given. But these days, Kia vehicles are more and more akin to their luxury counterparts-so much so that it’s almost impossible to see where they actually differ. It’s becoming increasingly clear that Kia vehicles have quite a bit more to offer than just an enticing price tag.The Kia Sportage is a compact SUV that doesn’t get lost in the shuffle of other vehicles in this popular segment. Modern and distinctive, with a bold road presence and sweeping lines reminiscent of a far costlier SUV, the Sportage is a winner from the outside in-because beneath that striking exterior is an interior that’s the epitome of class and style. Premium features you probably wouldn’t expect to see in a budget vehicle are abundant, bringing comfort and convenience to the driver’s fingertips and safety elements that protect everyone inside and allow for ultimate relaxation.The Sportage is just one of those things you have to see to believe. 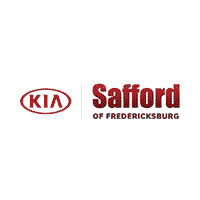 Good news: Safford Kia of Fredericksburg has a great selection of new and used Kia Sportage models so that you can do just that. Our dealership is located in easy driving distance of Richmond, Chancellor, and Alexandria, so Virginia drivers, come see for yourself what makes the Sportage such a stellar compact crossover. What’s New in the 2019 Sportage? The 2019 Kia Sportage carries over in all the best ways from the previous model year. The fact remains that it’s hard to do better than the Sportage, which offers a truly luxury-grade interior, with a huge number and variety of technology features, safety systems, and comfort and convenience amenities that will satisfy even the most discriminating driver. And you get all of that, plus the Kia brand’s signature value and a surprisingly affordable price tag. That’s right – if you’re looking to get a lot of bang for your buck, the 2019 Sportage may be exactly what you’ve been searching for. The crossover is available in three well-equipped trims and two engine options, offering ample power and connectivity / entertainment options, plus an exceptionally spacious cabin that is sure to make every drive in the Sportage enjoyable and peaceful no matter where the road takes you. When you’re ready to get some firsthand experience behind the wheel of the new Sportage, turn to Safford Kia of Fredericksburg and check out the models we have in stock. We’ll help you navigate your options and get you an amazing deal. Debuting in 1993, the Kia Sportage has a claim to fame as Kia’s longest-running nameplate. One of the smaller compact crossover vehicles around, the Sportage was initially available in rear-wheel or four-wheel drive configurations, and a two-door convertible version was also sold. In its second generation, the Sportage added options beyond the original 2.0L I-4, with a more powerful 2.7L V6 available. This incarnation also changed from a rear-wheel to a front-wheel drive platform shared with the Hyundai Tucson. A new exterior design came next, in 2010, along with a new engine option: the 260-hp 2.0L turbocharged 4-cylinder with a 6-speed automatic transmission. The Kia Sportage of today continues to offer premium features at a surprisingly affordable price. This budget-friendly crossover’s steadfast popularity indicates that it will remain a strong contender in the compact crossover segment for years to come. Why Buy or Lease a Kia Sportage from Safford Kia of Fredericksburg? If you’re looking for a Kia in Virginia, you won’t do better than us. Our associates are committed to making your entire car buying (or leasing) experience stress-free and enjoyable from start to finish. And because we’re a full-service dealership, we can help you with everything from choosing among our inventory of new and used vehicles to taking test drives of your top choices to assisting you with financing and pointing you toward specials and incentives that can make getting the car you want more affordable than you thought possible! All you have to do is contact us to start the journey toward driving home your new Kia. Or, for a one-stop shopping experience, visit our dealership, located at 5204 Jefferson Davis Highway in Fredericksburg. We’re standing by to help you get a great deal on a great car!